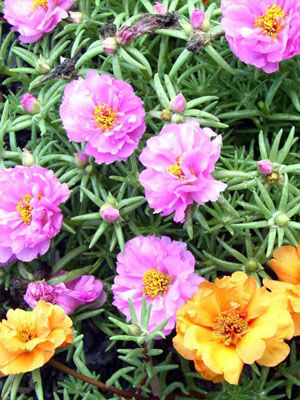 Portulaca flowers open during the day, so plant them where they can be seen during midday hours. The low-growing plants are excellent for edging beds or slipping into outer corners. In containers, combine portulaca with taller flowers that like full sun.